2015 version with instant coupon. You can head over to avg.com to save 20% off Antivirus 2015 or Internet Security 2015 software programs. Unlike other stores that give us a physical coupon code to enter at checkout, this deal is listed on their special offers page. Just follow the above link which will take you to the AVG store. Then scroll down and select Antivirus or any of the other versions listed on sale. Now on sale at Amazon.com! As Amazon makes room for the AVG 2015 that is scheduled to be release in the coming days, all of the remaining 2014 versions are discounted this week at Amazon. You can pick up a single license AVG AntiVirus 2014 (one user for one year) at Amazon for as low as $10.99 from a retail price of $29.99. That saves you over 60% off the sticker price which is by far the best deal we’ve seen all year. To put it into respective, you’re paying less than $1.00/month to have complete antivirus coverage on your PC. Free shipping is also available but you’ll need to buy something else so that your total order goes above $35.00 (unless you’re a Prime member in which case all your orders ship for free). As quantities are limited, prices are subject to change without notice or can sell out early. Prices and sale amounts will vary. your second year of protection. If you already know that you will be keeping your PC for at least the next two years, then you’ll save the most by buying full two years of protection upfront. Your total savings depend on the number of licenses that you need but on average you’ll save more or less 50% when adding the second year opposed to buying two separate annual licenses. No extra coupon codes are needed to take advantage of the multi-year discounts and they are available year-round. Prices and packages will vary. Get removal help at avg.com. 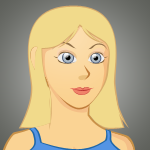 Are you one of those people that buy antivirus protection only after you get infected? Getting rid of a bug that is already living in your PC is sometimes not as easy as installing an antivirus program. But AVG can help as they have a package where an expert will review your enter hard drive, locate any viruses, and remove the threat. They will also install the latest version of Internet Security 2015 onto your computer so that it doesn’t happen again. save with school ID card. If you’re looking to get a student discount at AVG, then you’re out of luck. They don’t offer special pricing for students on their software, but this doesn’t mean that you’re out of luck. If you’re not 100% set on getting AVG then you can head on over to student discount center where we list all of the other programs, including Norton and McAfee, that offer special pricing for students (up to 50% off!). If you’re an existing AVG customer then you should definitely take the time to see if you can get better deal renewing your antivirus license vs. taking advantage of these other offers. AVG has a renewal section in their store where you can check to see how much your specific renewal will cost. The exact discount will vary depending on the version that you currently own and how many licenses you need but we’ve seen it average around 30% off the regular price. Open to existing qualified customers. If you’ve never tired any of AVG’s software before and are either looking for a new computer security software solution or are considering switching from another brand, then be sure to download and test AVG Antivirus 2015 first. They offer it and their other versions free to test for a full 30 days. Then afterwards you can decide if it’s the right solution for your needs. No credit card is required to get the trial but they will ask you to provide your name and email address before installing. 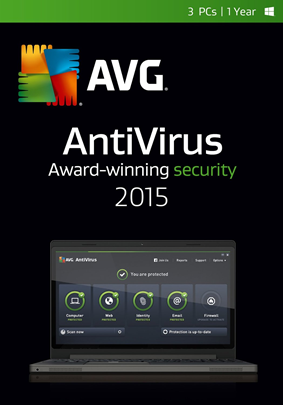 AVG Antivirus 2015 is coming. The all new version of AVG Internet Security 2015 is set to be released next September. Come learn more about the expected release date, sign up to become a beta tester, and see what others would like to see changed/added in the 2016 release. If you're on a current and active subscription, your upgrade will be free! We work around the clock to make sure these deals are valid and the best possible when buying AVG Antivirus 2015 today. But will all of our efforts, some promotions may expire early or prices can change at the reseller without advanced notice to us. If this happens then please let us know. We’ll look into the issue to see what’s going on and either fix the prices listed or shoot you an email on how to redeem the sale price.